Every third guest of this place probably is patron and from the direct neighborhood. Located along a street which is the border between a lovely park (Friedrichshainer Volkspark) and Berlin sub-district Bötzowviertel this restaurant faces a lot of competition as mentioned “Viertel” – area – is rich of different restaurants, bars and inns. You can get two different wines from Chateau Lestage: a white and a red one. The red one is called Lestage, the female version seems to be the white one which is called nicely as Chateau Caroline. This vintage is two years older than the same wine of 2011 I tried recently. I like to risk writing that I would prefer the younger one. To avoid any misunderstanding (! ), the 2011 is perhaps less drinkable yet but 2009 is. Please find my review about the 2011 here: https://avdwineandfood.wordpress.com/2015/08/20/chateau-le-crock-saint-estephe-2011/. Crock’n Roll… Rolling Stones… perhaps my first Bordeaux which I would call stony. Introduced to me by Anne Cuvelier, a member of the impressive winemaker’s family Cuvelier who also own and run the famous vinery Leovillé Poyferré (https://avdwineandfood.wordpress.com/2015/02/20/chateau-leoville-poyferre-saint-julien-2007/ ) I had the chance to try the really exciting red of their Cháteau Le Crock which is located in St. Estèphe, probably for many a well know vinery village in the northern part of Medoc. 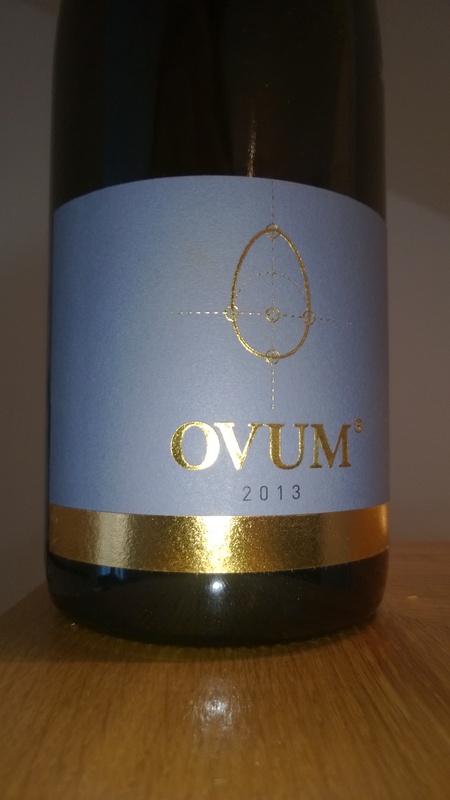 Ambitious, highfalutin, bold, cool or just refreshing – you could use each adjective if you like to describe the concept and wine named Ovum. Ovum is Latin and translates into egg. What has an egg to do with wine? Actually nothing except that one can imagine some chicken between vines.